Note: Sorry but the live image days are over for now. My camera is on to better things. Visit PhotoSynth to see my "virtual bridge" shots here. and here (Windows only I think). 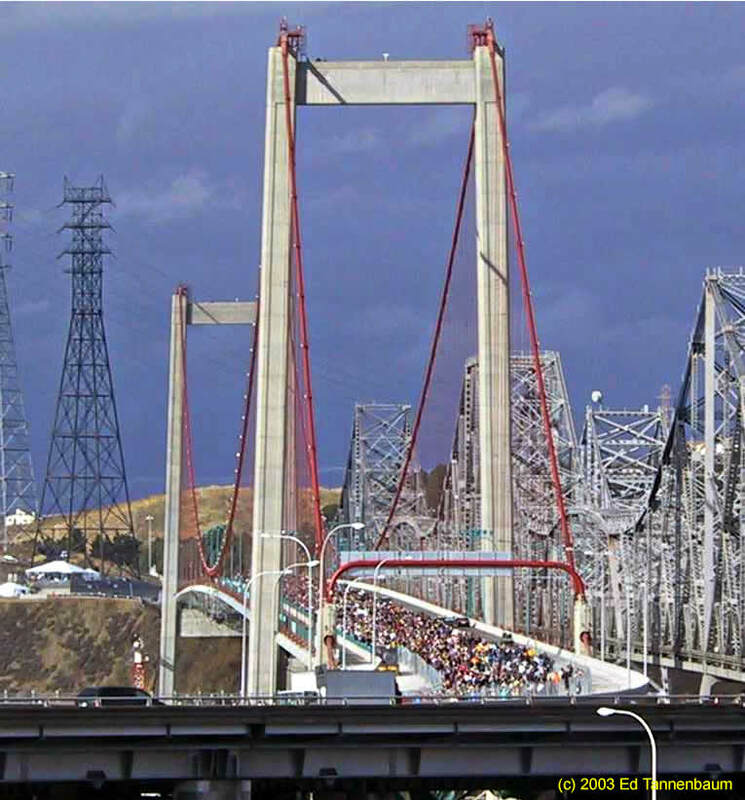 Clouds Over Crockett, CA from Ed Tannenbaum on Vimeo. 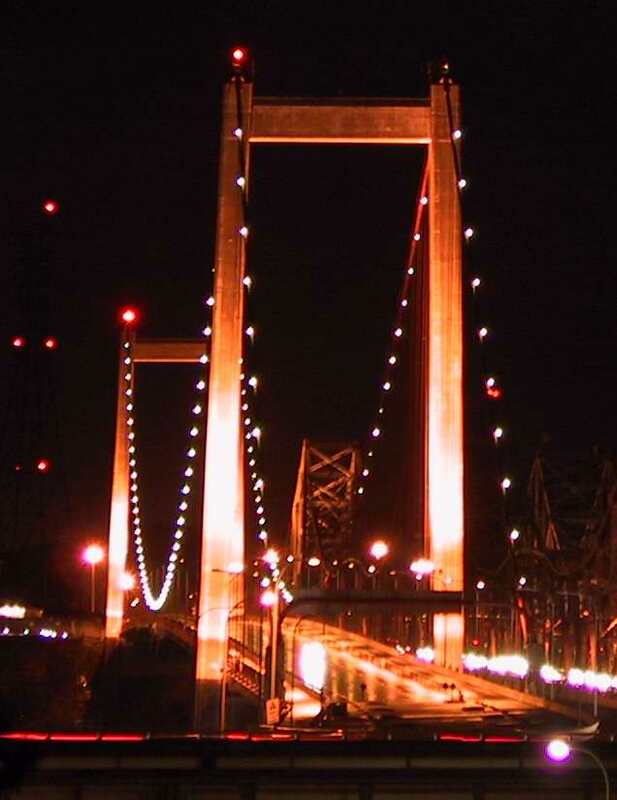 Here's a view of the Carquinez Bridge viewed from Crockett, California. 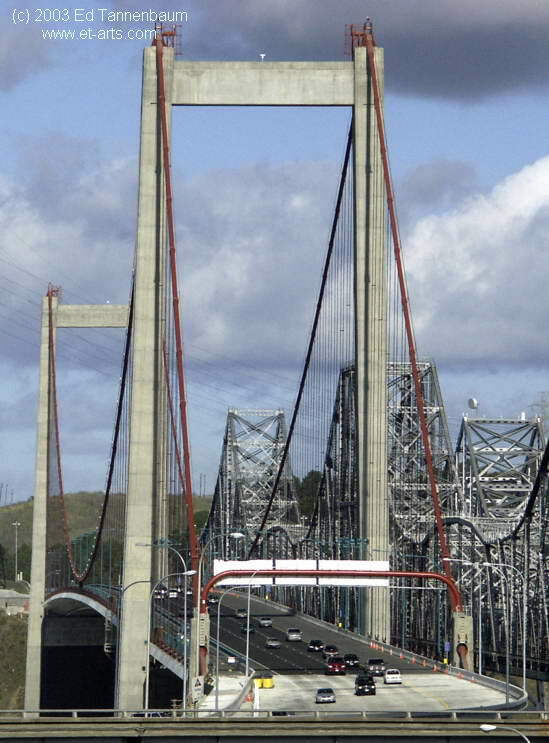 Crockett is in Northern Ca, about 17 miles north of Berkeley and 25 miles from San Francisco on Interstate 80. 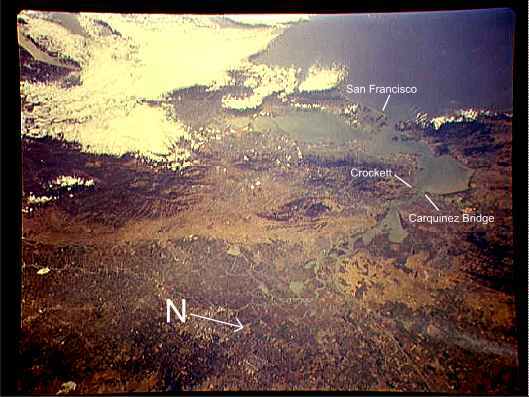 It's in the northwestern most part of the "East Bay", where the Sacramento River meets San Pablo Bay...on the Carquinez Strait. Congratulations to the thousands of American and International workers. 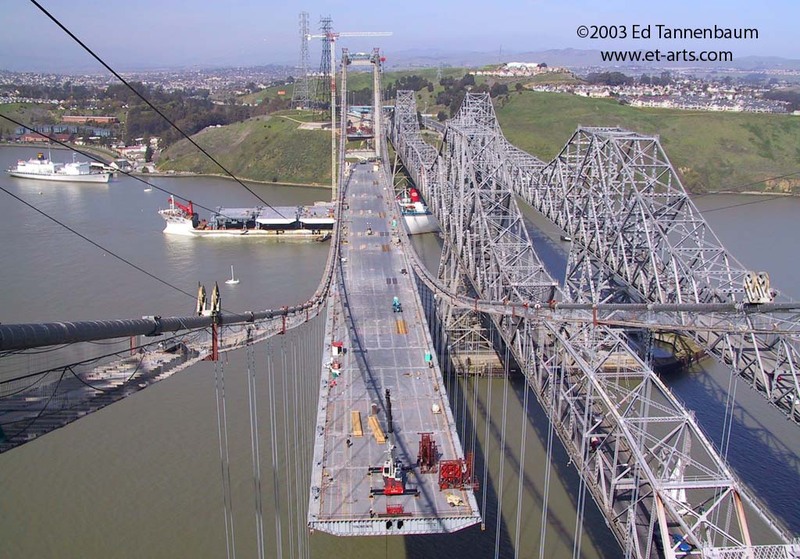 The November 8, 2003 opening celebration and "load test" (10's of thousands unsuspecting citizens voluntarily walked out onto the untested span) was spectacular! As a Crockett resident, it was like giving birth after being in labor for three years. Clayton Bailey's "Sky Camera". Daily Carquinez Strait sunset pics! Who did this web page?? ?